The large multi purpose room appeared ready for an important event. School award banners proclaiming a number of achievements covered the walls. 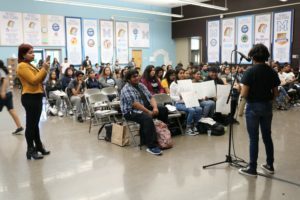 Recorded music from Eastside bands played, while laid out chairs were quickly occupied by Boyle Heights community members. 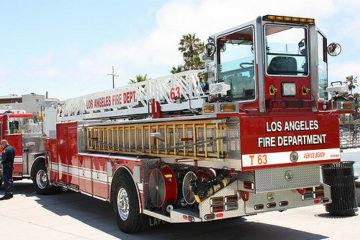 The smell of carne asada tacos, being enjoyed by attendees, filled the air. 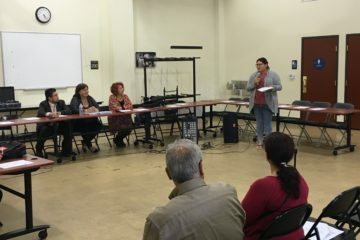 Boyle Heights Beat reporter Carmen González speaks at community meeting. 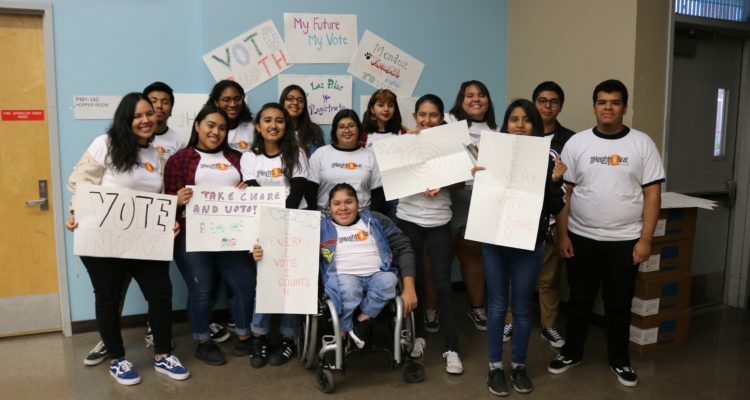 On Tuesday, October 16th, Boyle Heights Beat hosted its latest quarterly community meeting, this time centered around the importance of youth and Latino vote in the upcoming Midterm elections. 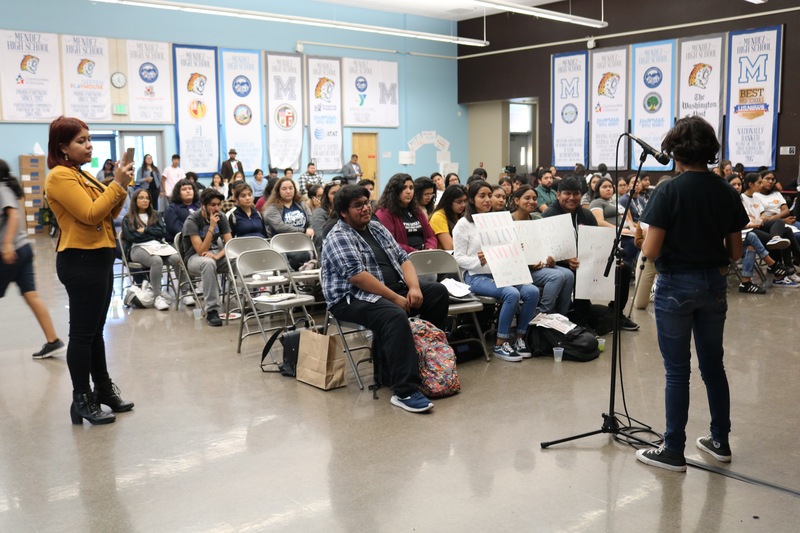 Nearly 100 people attended the meeting at Mendez High School, including students from nearby schools, like Bravo and Roosevelt High School. The event was an opportunity for the Boyle Heights Beat to present its latest edition and to gather feedback from community members about their most pressing issues. 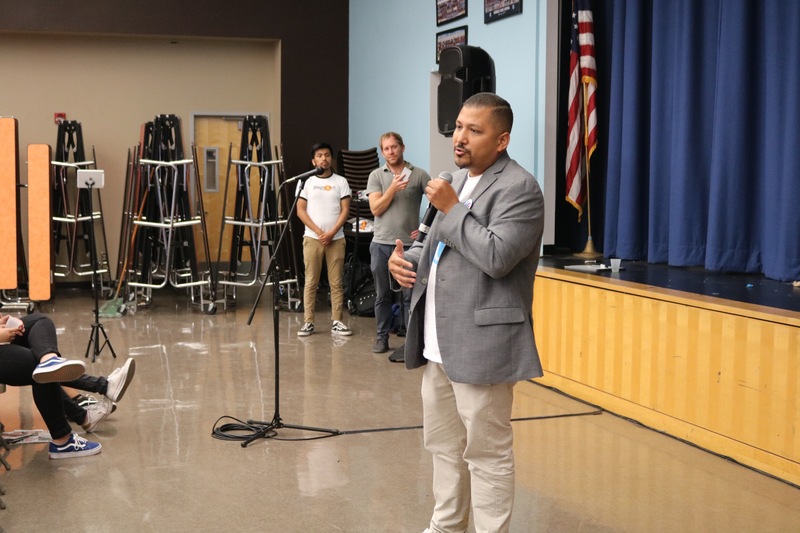 The meeting was led by Boyle Heights Beat reporters Keven Almontes and Carmen González. Almontes, a senior at Roosevelt, spoke about his latest story, about the challenges of getting youth to register to vote while González, a 12th grader at Méndez, talked about how election results can affect the undocumented community and about why its members should encourage those who can vote to register and participate. 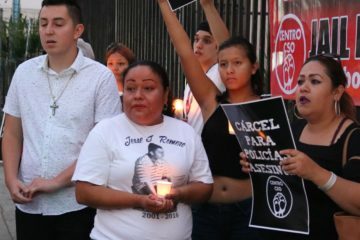 There were also speakers representing Inner City Struggle and NALEO, two organizations that are working to get the vote out in November. Teens line up to register to vote. 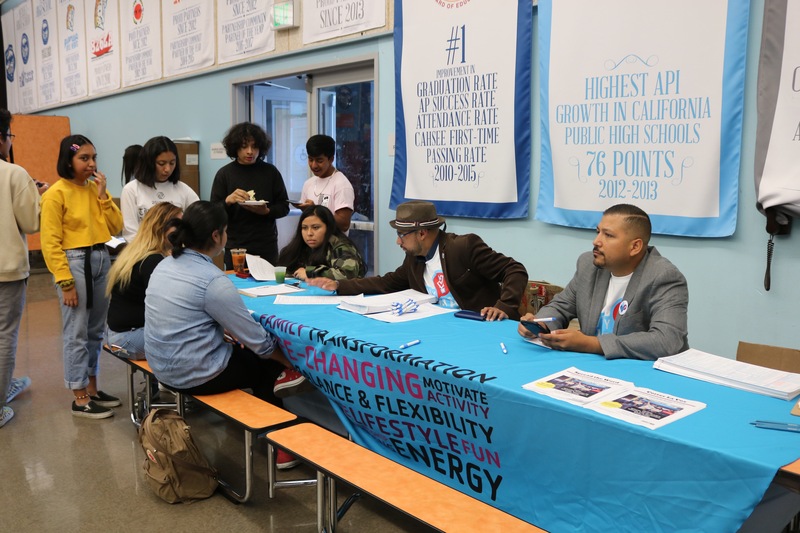 While speakers encouraged youth in the room to register or pre-register to vote, volunteers from the Weingart YMCA and NALEO actually registered future voters in the back of the room. Overall, two dozen people got to vote or pre-register. 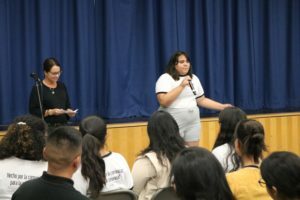 Los Angeles Unified School District Board member Mónica García made an appearance and spoke to the group about how young people can make a difference. 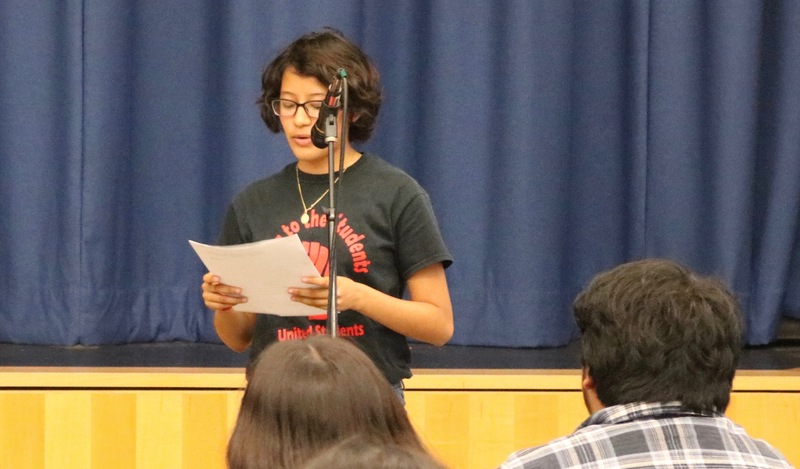 Esteban Torres student Ivonne Ibarra, representing Innner City Struggle. The most moving speech, however, came from Esteban Torres High School student Ivonne Ibarra, who works as part of the youth engagement team for Innercity Struggle. She talked about the importance of having a voice and making sure that youth is aware of the power they have. The meeting at Méndez was well attended. In addition to registering to vote, attendees got the chance to enjoy tacos and aguas frescas from local eatery Arctic Hotspot. Students also got to make encouraging posters towards voting rights and then got to take pictures with their posters in a photobooth. Students also participated in an engagement exercise, where they recorded comments from their peers about the issues most important to them this election cycle. 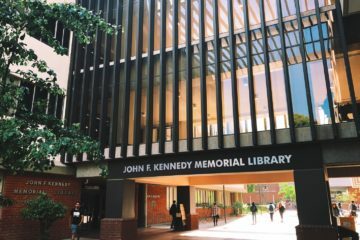 Several students said they left the meeting with new knowledge about the importance of voting and a more eager attitude about participating in the process and encouraging others to do the same. Mendez High School Cristian Cortez was one of a number of students asked asked what students hoped to accomplish by voting. 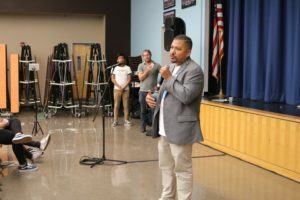 “I think it’s important because in the future I want to have a voice and a decision for my children in the future.” answered David Lopez, a Bravo student. Marlén Gamas is a senior at Francisco Bravo Medical Magnet High School. She enjoys journalism, volunteer work, and animals. She plans to pursue journalism and environmental science in a four-year university.